• Jesus said, “Whatever you ask for in prayer with faith, you will receive.” Jesus was speaking hyperbolically (overstatement or exaggeration to make a point). If we took these words literally, human beings don’t have to work, strive, research or put forth any effort for anything. It would automatically be given to you. This is not what Jesus meant when he spoke about prayer. • God does not always answer our prayers, even when we offer them in faith at times of real and critical need. While God may not answer our prayers as we off them, God does not abandon us. He will always be with us through our trials. • God does not suspend the laws of nature that he created, but rather works through people to help people. This is the very basis for Stephen Ministry! • God will not suspend another’s free will in response to our prayers. • Intercessory prayer – prayer that asks for God’s intervention and help. Perhaps it is better to ask for God’s comfort and sustaining presence as we walk through our trials and tribulations. • Why pray? Praying opens a relationship with God. Jesus prayed and so should we. Stephen Ministry- what is it? I asked myself the same question. Is this something I believed God was calling me to do? Can I fit it into my schedule? Could I give 100%. Well- it’s 50 hours of training spread over a six month period- a 2 year commitment and continuing education with other Stephen Ministers twice a month. Sounds like a big commitment right? Well it is!! There are two strong areas that are stressed to us in our training- that is to be a good LISTENER and CONFIDENTIALITY, And that we need to remember that God is the healer and We are His vessel. Please take a moment to read the attachment and learn when Stephen Ministry can be useful. On May 7th, Ted Sawyer, a long-time member of St. Matthew’s, was commissioned as a Stephen Minister at a ceremony at First United Methodist Church of Lawrenceville. This is no small feat. To achieve this highly responsible position, Ted had to successfully complete 50 hours of intense training over a course of 8 months. Ted is now prepared to offer the caregiving services of a Stephen Minister to his fellow parishioners. At that same ceremony, Susan Jung was officially named leader of the new program. To become Stephen Leaders, Susan had to successfully complete a rigorous 50-hour specialized training for leaders. This training qualifies Susan and Priscilla to oversee the program (along with Mother Liz) and to train other Stephen Ministers. Susan has also completed the 50 hour Stephen Ministry program twice and has served as Stephen Ministers at other Episcopal churches. This ceremony also officially launches the Stephen Ministry program at St. Matt’s. Ted and Susan are now available to offer the distinctively Christian care giving they have learned to the members of St. Matthew’s. The Stephen Minister will meet with the hurting person once a week for about an hour. During this time, the Stephen Minister listens to the care receiver without judgement or a “fix it” mentality. Ours is a process-oriented form of care and support. We walk alongside you as you move through tough times. We take a vow to God to keep the relationship and anything said completely confidential. All Stephen Ministers are paired with care receivers of the same gender. Our services are available only to those 18 or over. Should you be interested or if you know of someone who may benefit from having a Stephen Minister, please contact Mother Liz. Is Stephen Ministry Part of Your Walk? Stephen Ministers are lay people who, through training, learn skills and develop their spiritual gifts to offer the best one-on-one care to those who are hurting. Some examples of who we walk alongside are those who have lost a job, have lost a loved one, have gone through a divorce, are battling a terminal illness or facing one of the many other life challenges. No doubt, you’ve experienced one or more of these difficulties, too. It’s tough. It’s ugly. It can be heartbreaking. Can you imagine how much talking to a trained, trustworthy, confidential and caring person would have comforted you? How it would have been with this faithful ally to help you face the days when all the family and friends had returned to their daily lives? How it would have been to feel the solace that comes from knowing one of God’s representatives was walking with you through the “valley of the shadow of death”? What a difference, right? Stephen Ministers are laypeople trained to provide one-to-one, Christ-centered care. They have a compassionate heart for those who are hurting, and they’re equipped with caring ministry skills by their congregation’s Stephen Leaders. A Stephen Minister typically has one care receiver at a time and meets with that person once a week to listen, care, pray, encourage, and offer emotional and spiritual support. Stephen Ministers provide care to individuals facing difficult times in life-grief, cancer, divorce, financial difficulties, hospitalization, chronic illness, job loss, disability, loneliness, a spiritual crisis, or other life struggles. equipped to direct Stephen Ministry in their congregation. Stephen Leaders have gifts and skills in areas such as leadership, teaching, and organizing people, along with a heart for caring ministry. Stephen Ministry supports pastors by deepening, expanding, and extending the caregiving capacity of their congregations. A team of Stephen Ministers, together with a pastor, can provide ongoing care for more people than the pastor could provide alone. This also frees pastors to invest more time in other important ministry areas. Do Stephen Ministers care for people outside their congregation? wholeness through the cross of Jesus. 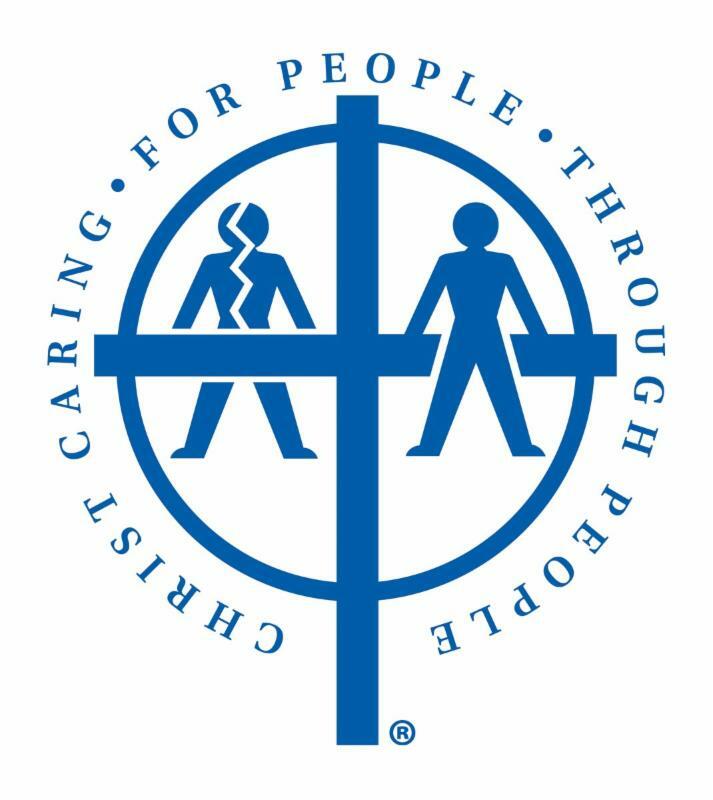 In this way, it illustrates “Christ caring for people through people,” which is the Stephen Ministry motto. Copyright © 2016 by Stephen Ministries, St. Louis, Missouri. All rights reserved.